It’s daunting when your child is diagnosed with a food allergy but just because they’re allergic to one, or indeed, several types of food doesn’t mean that they can’t eat delicious meals with the rest of the family, benefit from a healthy, balanced diet or (should they deserve them!) have tasty treats. 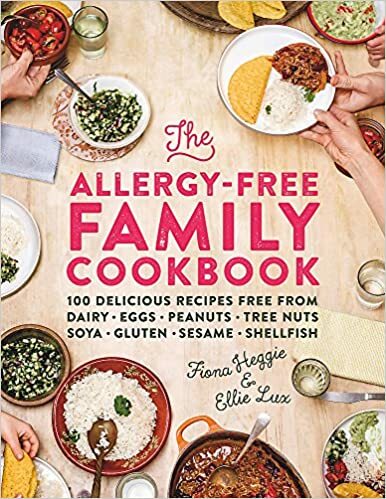 From shepherd’s pie, risottos, Thai curries and casseroles as well as cakes and desserts, The Allergy-Free Family Cookbook is packed full of 100 nutritious recipes, which allow everyone around the table to enjoy the same meal. Using ingredients that can be readily found in supermarkets, each recipe is free from all eight major food allergens: dairy, eggs, peanuts, tree nuts, soya, gluten, sesame and shellfish.